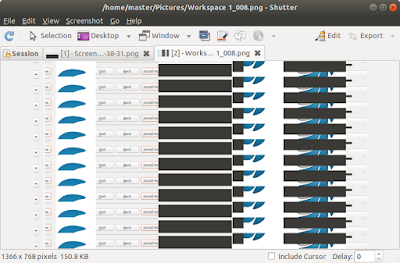 When you use Shutter Screenshot Tool on Ubuntu 17.10 with GNOME 3.26+ desktop, every time you take a screenshot the result is broken. The screenshot taken is not desktop interface as normally it is, but, looks like a bunch of Shutter logos scattered in a picture. This is the problem if you run Shutter on Wayland and the one (unintentionally) causes it is your Ubuntu 17.10, because by default you login to Wayland and not Xorg on 17.10. How to solve it? The simplest solution is by logout once and select "Ubuntu on Xorg" on gear logo at login screen and login again. You get the login screen with a small gear besides Login button. 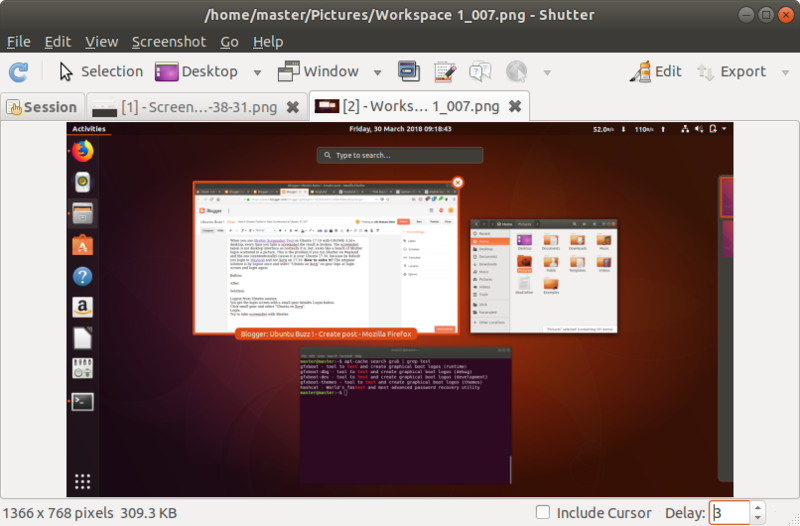 Click small gear and select "Ubuntu on Xorg". Try to take screenshot with Shutter. Note: if you are technically curious, read how Wayland and Xorg differ here https://wayland.freedesktop.org/architecture.html.